Pictured (l-r) are Pastor Tim Pieper with his wife, RaeAnn Pieper, and youngest daughter, Maria Pieper. 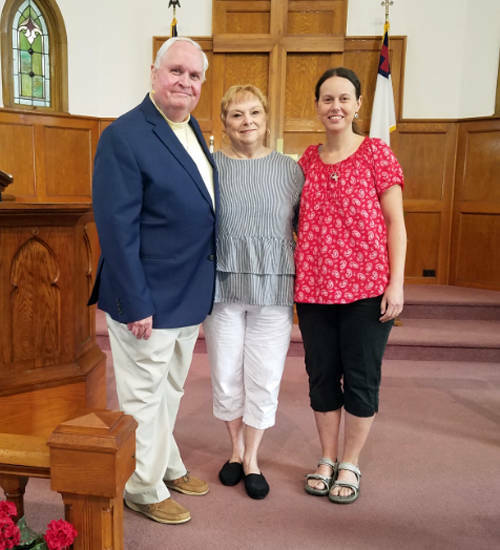 ARCANUM – Arcanum Faith United Methodist Church announced the retirement of Pastor Tim Pieper. He and his wife, RaeAnn, have ministered at Faith UMC for the past three years. The Piepers are moving to Utah to be an important and integral part of their six young grandchildren’s lives. Faith Church thanked them for their ministry and wished them much happiness and joy.